Hope everyone had a fab weekend! 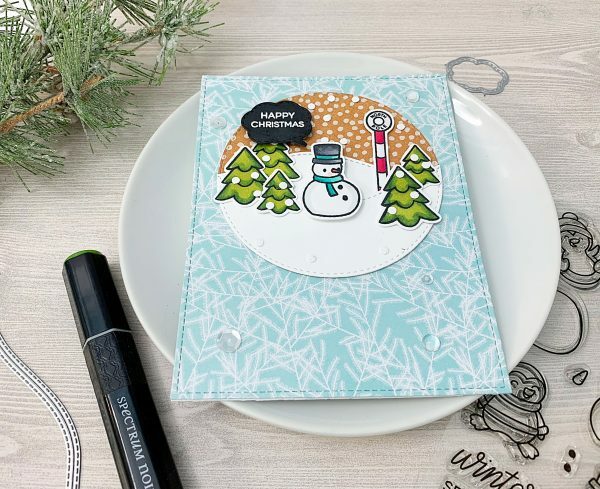 It’s Jessica here and today I’m sharing an adorable festive card featuring Wanna build a snowman and Whatca Saying Now. I started by creating an A2 sized stitched rectangle with pattern paper. Next, I die cut two circles using kraft pattern paper and white card stock. For the white circle, I added an edge die from the Stitched Slopey Joes border set for a snowbank effect. Next, I stamped and colored the main images with Memento Tuxedo Black Ink and Spectrum Noir Alcohol markets. 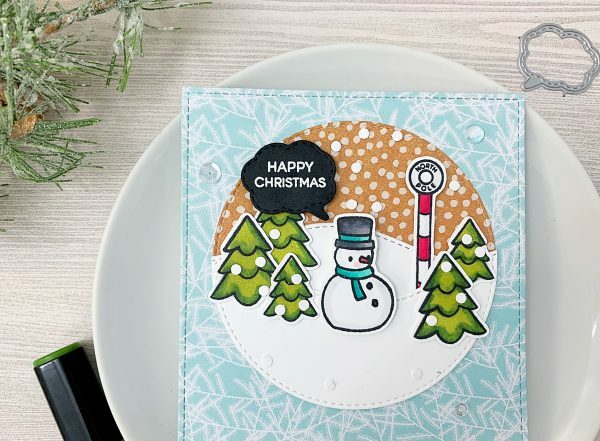 For the sentiment, I die cut a speech bubble in black card stock and heat set “Happy Christmas” with white embossing powder. To finish off the card I added “snow” from a mini hole punch, coordinating sequins and 3D foam tape for dimension.